The Syracusans drawn up with with a mounted general. This army (II/9) allows me to field all the armies for a 2nd Punic War campaign. It’s also got some interesting options. In time it could morph into a number of Hoplite armies. The Syracusans arrayed with a foot general. The heart of the army, its hoplites, are Essex figures, but with Freikorp15 shields and Xyston spears. There are up to eight elements of these, one of which can be the general. I like the idea of a spear commander; in the middle of a phalanx he’s less likely to run into trouble. The Syracusans can field quite a large mounted arm for a Greek army. It consists of a compulsory 2LH element and up to two of 3Cv. The light horse are Tarantine mercenaries. I’ve gone for a later army and have shielded heavy cavalry too. The Syracusan cavalry: two 3Cv and a 2LH. The light troops consist of a compulsory 2Ps (one more would be really useful), a 4Ax (instead of a 3Cv), a 3Wb (instead of a 4Sp) and a 3/4Ax (instead of an Art). It’s likely that the 3Cv and the Art will get priority. I’ve got 4Ax (Thureophoroi) and 3Ax (Spanish mercenaries) if I choose. The 3Wb are Gauls. 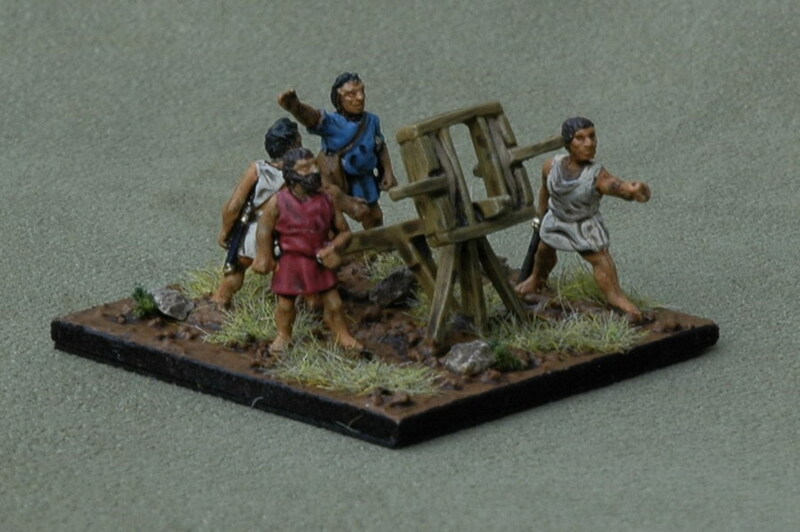 The Syracusan light troops: Spanish caetrati, Gallic warband and Cretan archers. The Art is an element I’ve not used much. I’m hoping it will make any opposing elephants nervous. 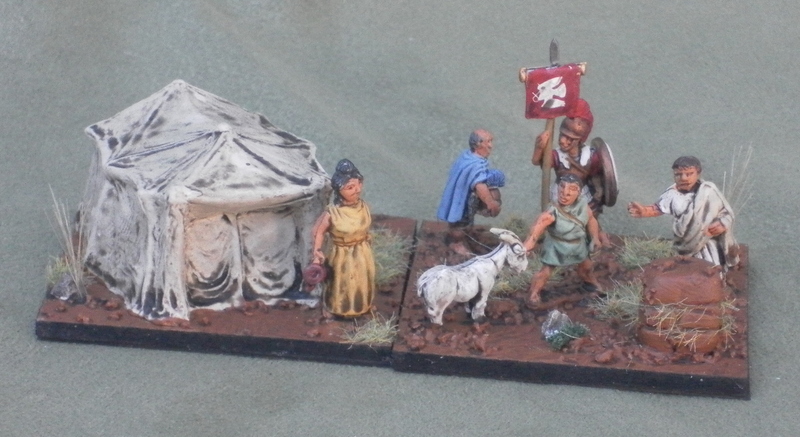 The Syracusan leaders check the omens before battle.